Imagine you buy your child a brand new bike for his birthday. He immediately hops right onto the bike and starts peddling down the street when it breaks and he falls to the street, breaking his arm. A few questions pop into your mind: Did the bike cause your child’s injuries? Was there something wrong with the bike? How much are medical bills for his injury going to cost? In these situations, you may be able to bring a claim under two main theories: negligence and product liability. In the instance of product liability, courts will focus on the nature of the product defect itself rather than the conduct of the manufacturer or designer. 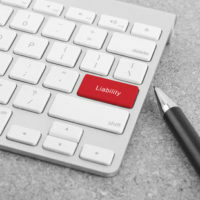 If you are hoping to file a products liability claim, you should hire an experienced local lawyer to help you understand the different types of defects and possibilities for recovery. There are two primary types of defects in products liability cases: design defects and manufacturing defects. Design defects occur when there is an inherent and fundamental problem with the product’s design. This means every product that comes through the pipeline has this same design defect, which is reflected in the product’s design plan. Manufacturing defects are defects that arise from a mistake in the manufacturing process. Unlike design defects, there should only be a relatively small percentage of products that contain the defect. An example of a manufacturing defect in a bike may occur if a batch of bikes did not have their pedals screwed on properly. The burden of proof and evidence needed to prevail on a products liability claim depends on the classification of the defect. In the 2015 case of Aubin v. Union Carbide, the Florida Supreme Court set a precedent providing that Florida courts should employ the consumer expectation test when making determinations regarding design defects. The consumer expectation test outlines that courts should examine whether a product is unreasonably dangerous because it failed to perform as safely as a reasonable consumer would expect it to. The test requires that a plaintiff was using the product in its intended or reasonably foreseeable way. Compared to tests employed by courts in other jurisdictions, the burden on the plaintiff is lower as Florida Plantiffs/claimants are not required to prove a reasonable alternative design existed. The test for proving a manufacturing defect is similar to that of a design defect in that the burden is on the plaintiff to prove the product had a manufacturing defect that rendered it unreasonably dangerous and that defect led directly to the plaintiff’s injury. Additionally, the plaintiff must prove the product left the manufacturer’s possession with the defect that caused it to be dangerous. If you are injured from a hoverboard or other defective product in Boca Raton, Stuart or West Palm Beach, contact the experienced personal injury lawyers at Lesser, Lesser, Landy & Smith, PLLC to discuss your potential options for recovering from the product manufacturer, distributor, and/or retailer.